One of the biggest causes of sleep disruption is alcohol, and according to the Centers for Disease Control and Prevention, one in six U.S. adults binge drinks at least four times a month. Now, new findings from the University of Missouri School of Medicine explain how a single episode of binge drinking can affect the gene that regulates sleep, leading to sleep disruption in mice. Using a mouse model, Thakkar monitored the effect of binge drinking on sleep patterns. 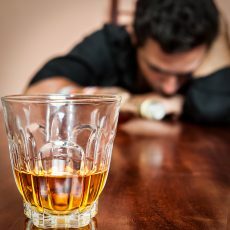 Thakkar found mice exposed to binge drinking experienced a significant increase in non-rapid eye movement (REM) sleep four hours post-binge, followed by increased wakefulness and reduced sleep during subsequent sleep periods. These changes in the sleep cycle add up to not getting a good night’s sleep. Thakkar also discovered post-binge mice did not experience an increase in a sleep promoting chemical, adenosine, in the brain nor increased sleep pressure during sleep deprivation. The research also revealed binge alcohol consumption affects the gene that regulates sleep, resulting in sleep disturbances. “What we have shown in this research is that a particular gene — which is very important for sleep homeostasis — is altered by just one session of binge drinking,” Thakkar said.